Creating and holding a safe space for others to uncover what really matters to them, and then being there as they get curious and explore what’s possible, is the foundation of my coaching practice. A sales and marketing professional for over 20 years, I get “real” life and the responsibilities that often cause us to put our dreams on hold and make choices that may not best serve us. The horses provide feedback without judgment, connection without an agenda and are the embodiment of all that is real in this moment. The power and freedom that comes from being seen in that way is something I wish everyone could experience – which is why I became an Equus Coach. 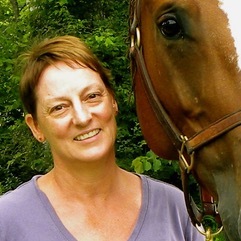 I hold degrees in Communications, Equine Studies and Stable Management, and am trained as a Co-Active Coach by the Coaches Training Institute (CTI).